How Do I Borrow from Other Libraries? Hewes Library offers two ways to borrow materials from other Libraries: I-Share and ILLiad. Read more about each method below. Search the Hewes Library catalog, first, to see if the item is available at Monmouth College. Next, search the I-Share catalog for availability. 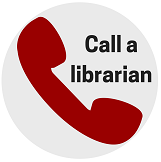 If located, request the item using your library account. Items arrive from I-Share in an average of three days. If the item is not available at Monmouth College nor any I-Share library, request the item via ILLiad. 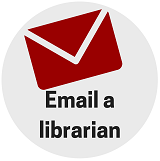 If you have located the article in a Hewes Library database (such as Academic Search Complete) click the "Find This Item" (red) button to locate possible print and full-text availability on campus. If you have located an article citation outside of a Hewes Library database, search the Periodicals A-Z list for print and full-text availability. 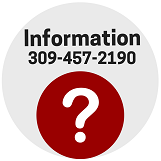 If the item is not available at Monmouth College nor full-text, request the item via ILLiad. Items arrive from ILLiad in an average of 7 days. If the item is not available at Monmouth College request the item via ILLiad. Items arrive from ILLiad in an average of 7 days. If you have questions about materials you have requested, contact Hewes Library Access Services 309-457-2188.